When I was a child the first Sunday in advent was an exciting time at church. Firstly the first candle in the advent wreath would be lit (echoed by the first candle in our Angel Chimes at home). One more candle lit every Sunday until Christmas day. The other event was Christingle. 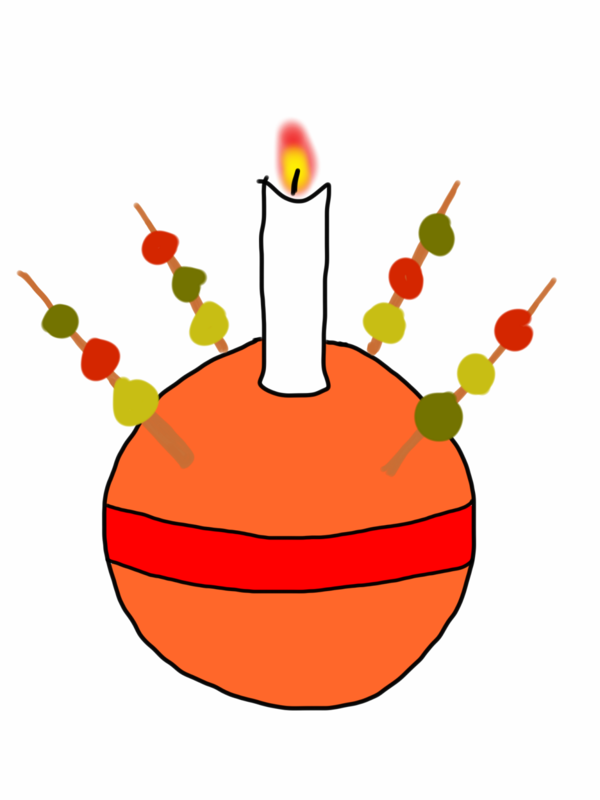 Made from an orange with a candle set in the top, a red ribbon is tied around the orange, four cocktail sticks are set into the sides (at four equal spaces) and fruits or sweets are stuck on the sticks. 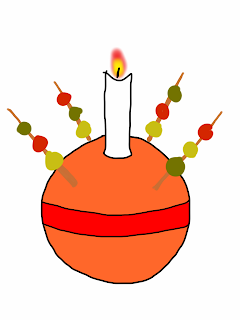 The Christingle is, of course, symbolic - the orange represents the world, the red ribbon is the blood (and the love) of Christ, the fruit represent all of creation (and the four seasons) and the lit candle is Jesus as light of the world. The best bit as children was the excitement of making the Christingle and proudly carrying them to a table at the front of the church.